So the 4th of July is coming up. Hopefully the weather is nice. I usually go to either family or friend’s bbq so there’s a lot of grilling going on and lots of snacks and drinks. I just wanted to share two really easy recipes of refreshing and sweet treats you can make for them. First up is Blueberry Greek Yogurt Popsicles. 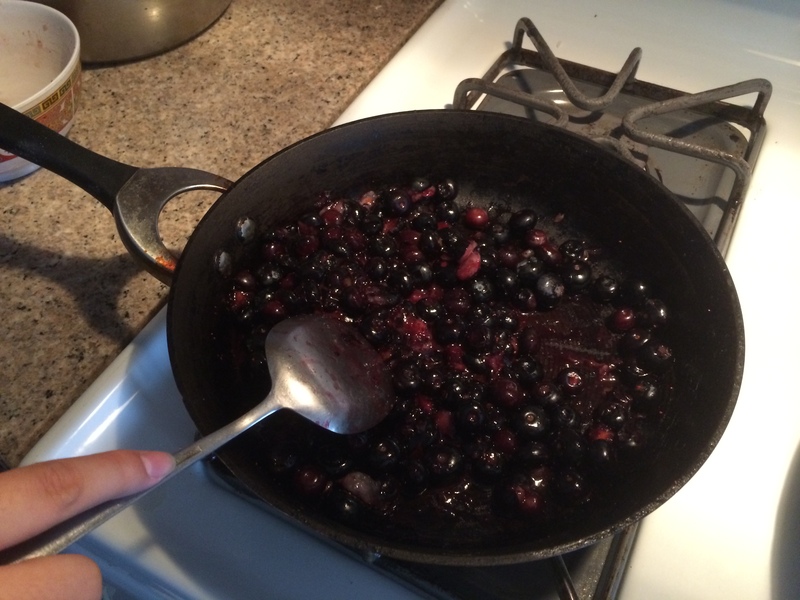 In a large saucepan, stir your blueberries around for a few minutes. You just want to soften them up a bit so that you can mash them more easily. 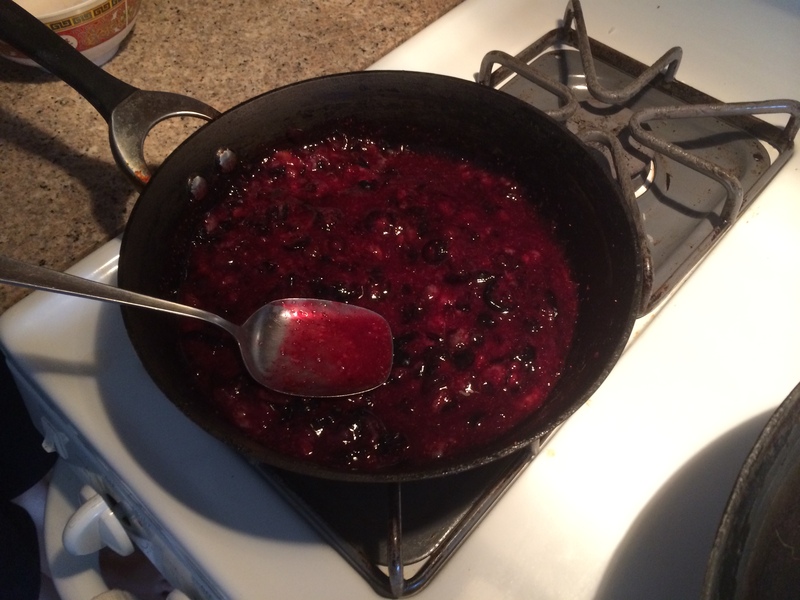 Mash your blueberries so they are almost like a jam consistency. 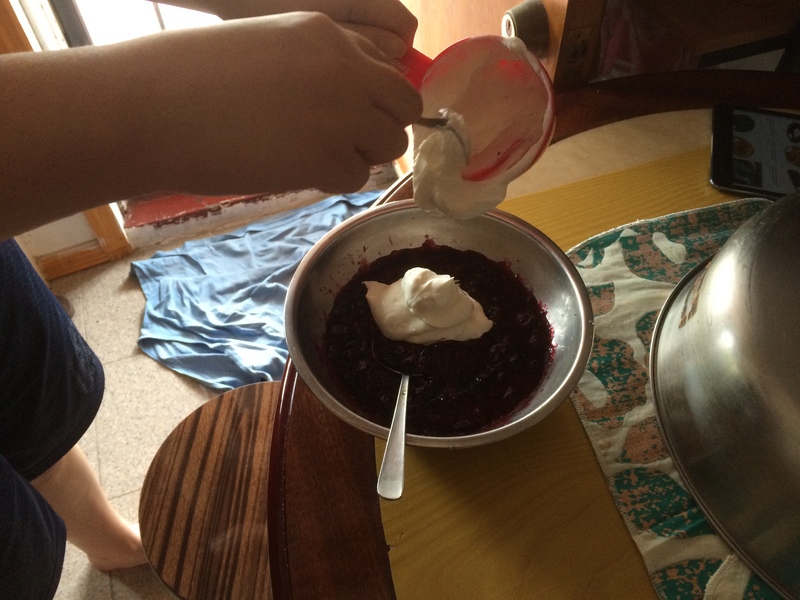 Add to that the yogurt, half and half, sugar, and vanilla extract and stir until combined. Pour mixture into popsicle molds. Depending upon the size of your molds, you can probably fill 4 to 6. (I do not have a popsicle mold so I just used plastic cups) If your popsicle mold does not have a lid, cover the top with foil. Cut a tiny slit in the middle of each well and insert popsicle stick (or like me, use take-out chopsticks if you’re out of popsicle sticks!). Freeze for 4 hours or more, until your desired consistency. When ready to serve, unmold popsicles. Briefly dipping molds in warm water helps the popsicles to cleanly release. 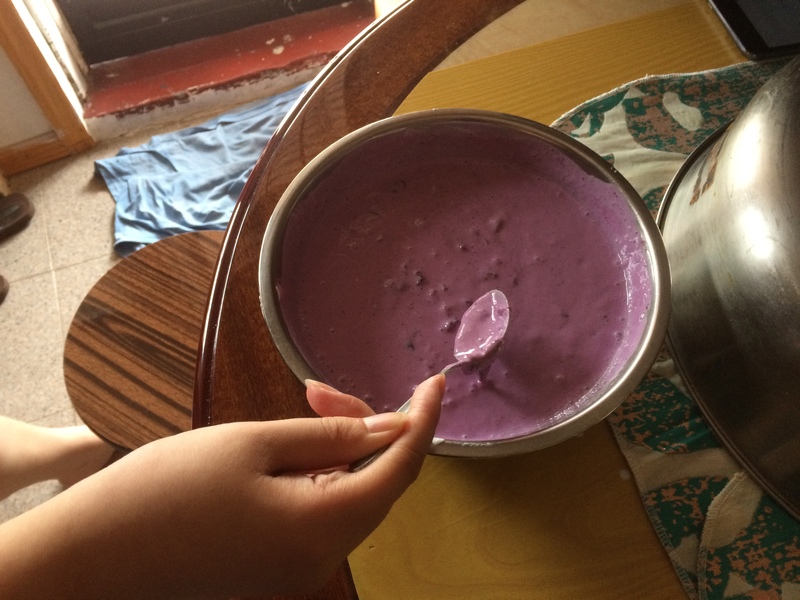 The only/biggest change I made from the shared appetite recipe was not pureeing the blueberry as J’s blender was not working. 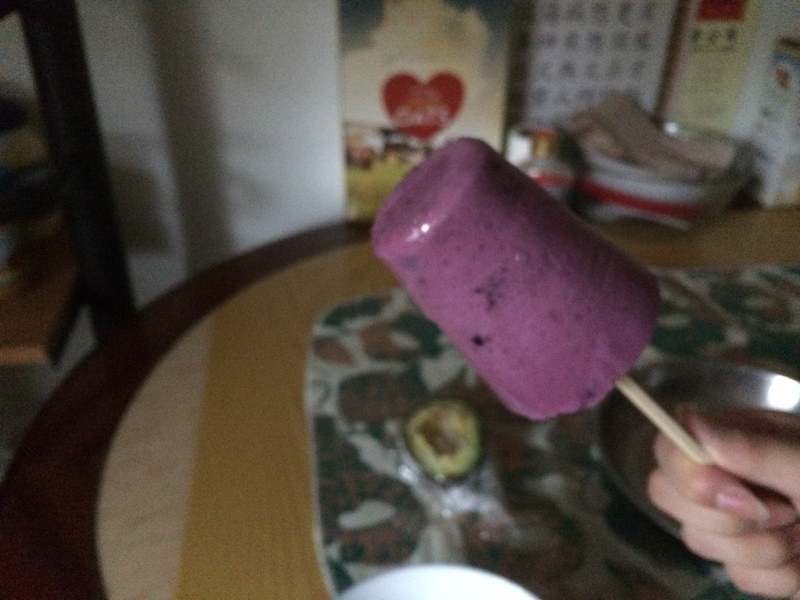 In this case, I think it actually worked out well because I like biting into chunks of the frozen blueberry. I enjoy the texture it provides in the popsicle. Of course that is just my preference. 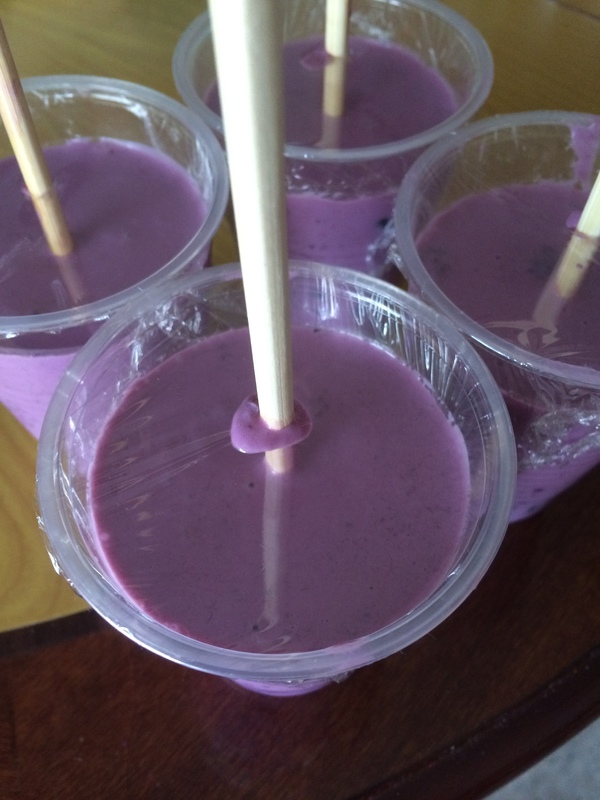 If you like having a smooth popsicle, then definitely puree the fruits and strain before you add it to the yogurt. This treat is delicious either way. This is so easy to make and is such a refreshing treat for a hot day. It’s incredibly versatile; you can make it with any fruit you want. I plan on making them with strawberries next. I definitely see these becoming a staple of mine for the summer. The second recipe is just as easy and tasty. 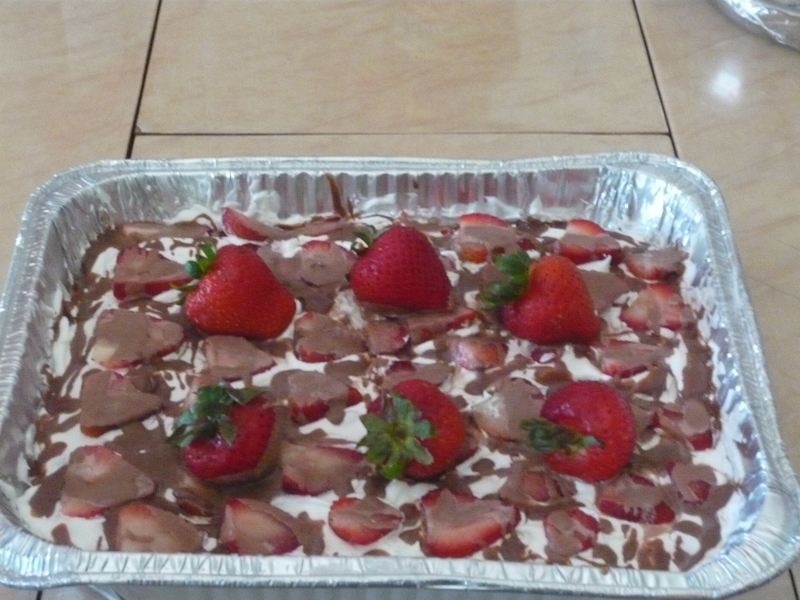 In a 8×8 pan, layer the whipped cream, lady fingers or vanilla wafers, and strawberries until you reach the top, finishing with a strawberry layer on top. For the chocolate drizzles on top, heat the half and half to melt the chocolate and drizzle on top of the pan. You can also garnish the top with whole strawberries. So incredibly simple right? This is very reminiscent of banana bread pudding, one of my favorite desserts. It’s crazy easy to make, there’s just the matter of prepping/slicing the strawberries. I prefer using lady fingers because it really gives you the flaky, cakey texture after being soaked in the whipped cream overnight. 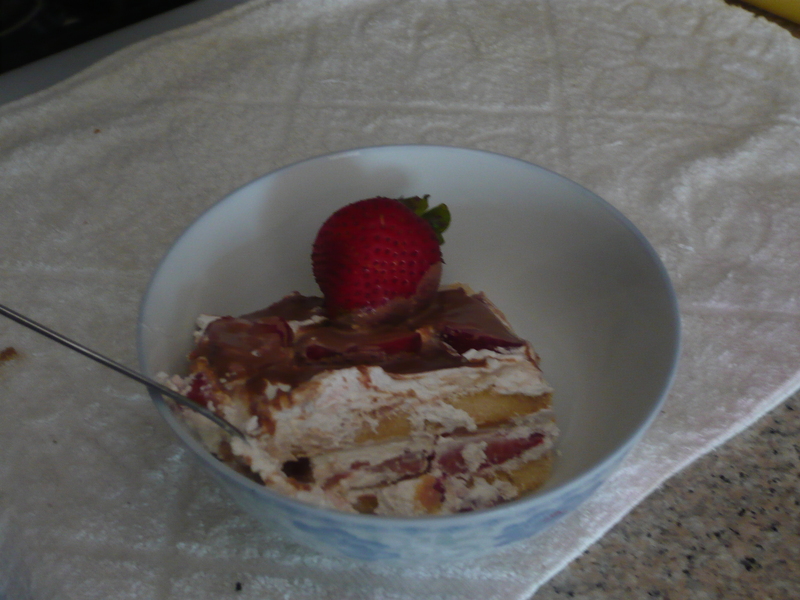 It almost feels like you’re eating strawberry shortcake. If you want an Independence day theme, you can use blueberries and strawberries for the whole red, white, and blue colors. So there you go, two easy and luscious treats you can try for your Independence day weekend. Which one of these is more of your speed? Please let me know in the comments about some of your favorite treats or go-to item to bring to a July 4th hangout. the first one looks pretty easy to make and looks very appetizing i’m definitely going to be trying this recipe out and thanks for taking pics of the different stages in making the food~ Also the second picture i would love to eat that so badly, i might surprise everyone one day and make it for the next family function i go to, it looks like something the whole family or lots of friends can enjoy.